In a shocking display of relative independence from the post-Operation Mockingbird control of the media by the Central Intelligence Agency, a recent article in The New York Times broke with current conventional pack journalism and covered the long history of CIA meddling in foreign elections. A February 17, 2018, article, titled, “Russia Isn’t the Only One Meddling in Elections. We Do It, Too,” authored by Scott Shane – who covered the perestroika and glasnost for The Baltimore Sun in Moscow from 1988 to 1991 during the final few years of the Soviet Union – reported the US has interfered in foreign elections for decades. However, a couple of old US intelligence hands were quoted in the article as saying the US meddling was for altruistic purposes. The CIA veterans charged that Russia interferes in foreign elections for purely malevolent purposes. The belief that American interference in global elections was to promote liberal democracy could not be further from the truth. 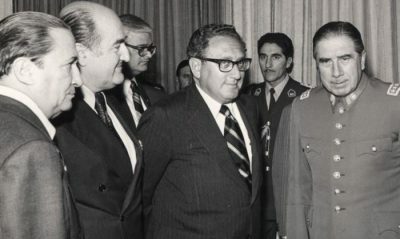 In 1990, CIA election meddling in Nicaragua ensured a win for the opposition over the ruling Sandinista-led government. This type of meddling was repeated in the 2000 Serbian election, which saw President Slobodan Milosevic ejected from power. The ouster of Milosevic saw the first demonstrated cooperation in election meddling between the CIA and international hedge fund tycoon George Soros’s Open Society Institute cadres. In 2009, the CIA attempted to defeat Afghan President Hamid Karzai for re-election. Although Karzai was re-elected, he bitterly complained about the CIA’s interference in the election. Declassified CIA files are replete with examples of agency interference in foreign elections, including state elections in India and West Germany and provincial elections in Australia, Canada, and Japan. In the 1950s, the CIA provided massive support to the West German Christian Democrats, which were led by Chancellor Konrad Adenauer. The CIA also did its best to suppress support for the West German Social Democrats and the far-right nationalist German Party in Berlin, Hesse, and Bavaria.